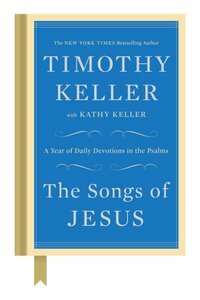 Renowned pastor and New York Times bestselling author Timothy Keller writes the book his readers have been asking for: A year-long daily devotional. The Book of Psalms is known as the Bible's songbook-Jesus knew all 150 psalms intimately, and relied on them to face every situation, including his death. If you have no devotional life yet, this book is a wonderful way to start. If you already spend time in study and prayer, understanding every verse of the psalms will bring you a new level of intimacy with God, unlocking your purpose within God's kingdom. About "The Songs of Jesus"